Back in June, the board of American International Group (AIG) rejected a reduced bid by Prudential (PUK) for AIA, the Asian life insurance unit of the troubled U.S. company. Prudential's initial offer was $35.5 billion. When it could not raise enough money to finance the transaction, it dropped the offer to $30.38 billion. AIG's board held fast and there were rumors that the firm's CEO Robert Benmosche, who had backed the Prudential deal, was upset. It turns out that the AIG board was wise -- or perhaps lucky. AIA went public on the Hong Kong stock exchange Friday and its share price rose as much as 17% in the first day of trading. AIG's immediate profit from the initial public offering was nearly $18 billion, according toReuters. "The IPO could raise as much as $20.5 billion if AIG exercises the over-allotment option, setting it on course to be the world's third-biggest IPO." The transaction will help AIG pay some of the $180 billion of debt and equity that taxpayers put into the company when it was about to go under. The government believed the collapse of the company posed a "systemic risk" because AIG had interlocking relationships with other financial firms around the world. 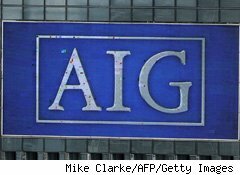 AIG has sold smaller units on the way to its goal of repaying all the money owed the U.S. government. The promise was made by Benmosche. It appears that his goal, which was once considered audacious, may turn out to be achievable.